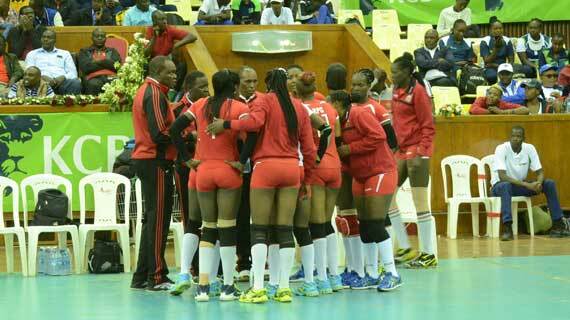 Kenya Pipeline head coach Japheth Munala has rued the absence of middle blocker and captain Triza Atuka for his side’s failure to defend their Kenya Volleyball Federation national league title. Atuka missed the entire play-offs having undergone abdominal injury. She had starred for Pipeline all season leading them to top the regular season, but her absence in the play-off was clearly visible as they won only one game, losing two. “That was our major undoing because she is the best middle blocker in the country and also the best attacker in that same position. We missed her a lot and we were just gambling on who to play there throughout. The injury came at a wrong time, but we will bounce back,” Munala said. Atuka was present throughout the play-offs and she cut a distraught figure after Pipeline lost their final match to rivals Kenya Prisons on Monday. At the same time, Munala has admitted it was difficult to win against Prisons especially with odds hugely stacked against them after losing against KCB the previous day. The shock 3-2 defeat left Pipeline clinching to slim hope and needed to win by a margin of two sets or more against Prisons. “The loss against KCB is what made all the difference because it affected the players mentally. That is what denied us the title. Heading into the game against prisons, it was always going to be tough because we had to win 3-0 or 3-1. But, we have to go back to the drawing board and start all over again. We have to bounce back,” Munala added.